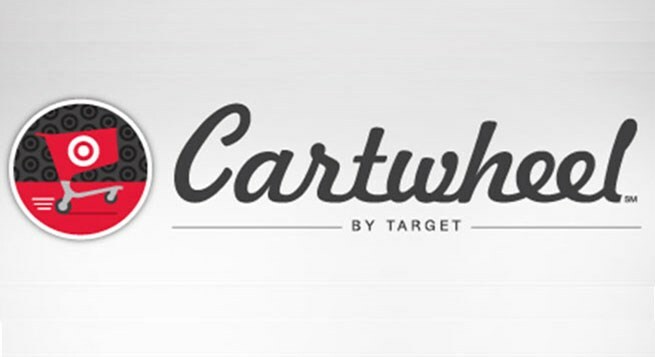 • You can access Cartwheel at cartwheel.target.com on your computer, tablet or mobile device. achievement badges through activity—choosing, redeeming and sharing offers—that will open up more offer spots. • Offers are redeemed in-store through a single barcode in the Cartwheel app and may be used multiple times. You can also print the barcode from your computer. • Present the barcode to the cashier at checkout (either a printout or on your mobile device) just as you would any other coupon. The cashier will scan the barcode and you will save on all the Cartwheel offers in your cart. • Savings will vary, with most discounts between 5 and 25 percent.